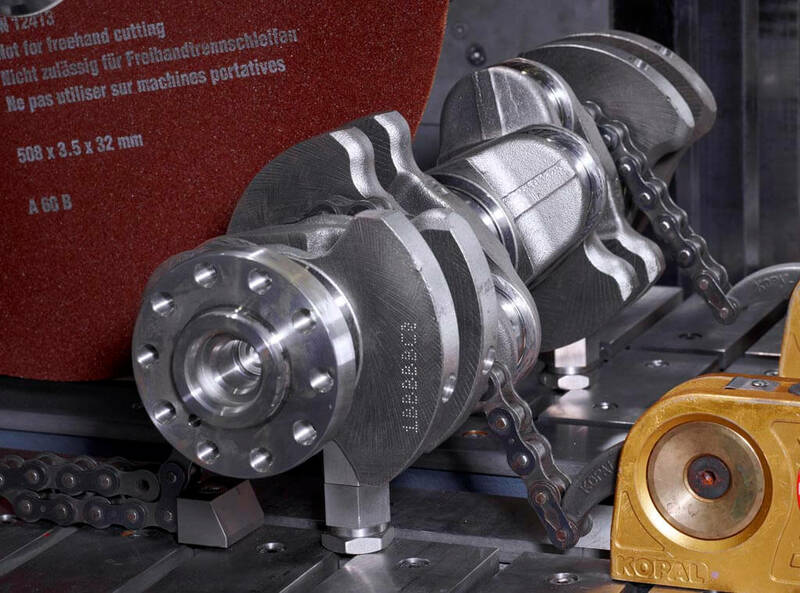 Magnutom is designed to deliver high capacity cutting without compromising valuable floor space. With a compact and streamlined footprint of just 2.6 m2, Magnutom has the largest cutting table in its class. The left-hand cutting table on the fixed table version can be removed for additional space. 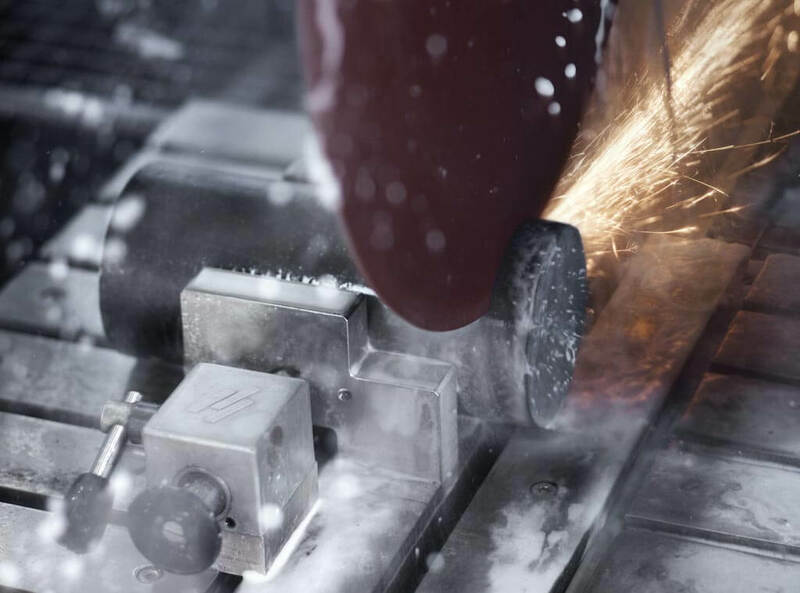 Magnutom can withstand tough conditions, as all machine parts are CAE-stress tested to ensure that they can withstand continuous cutting. The straightforward design, robust frame, oversized machine parts, and DirectDrive beltless transmission ensure maximum efficiency and operation. Intuitive, icon-based user interface, automatic programming, multifunction knob, and joystick control makes the Magnutom user-friendly. The user friendliness allows for quick training and operation, thus reducing the time needed to acquire high quality specimens. 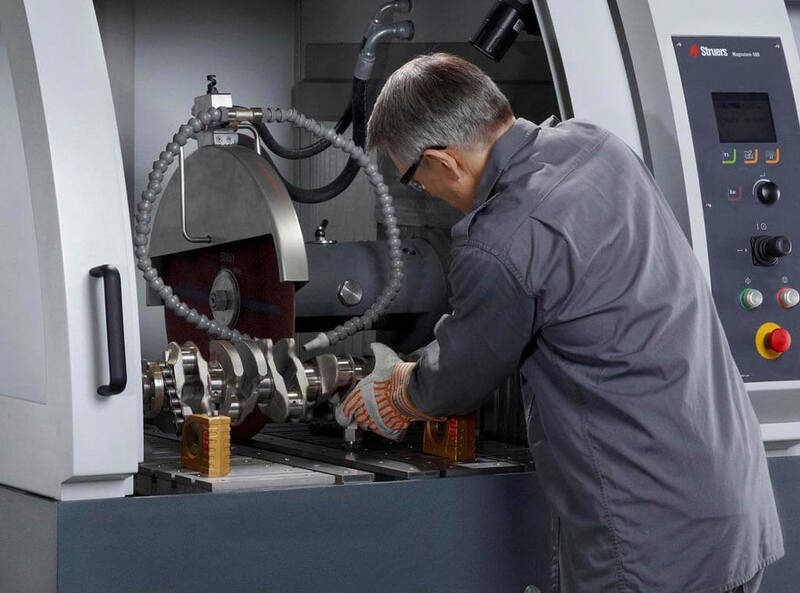 High capacity precision cutting is achieved by a powerful motor with a large, fully retractable cut-off wheel and an efficient cooling system. 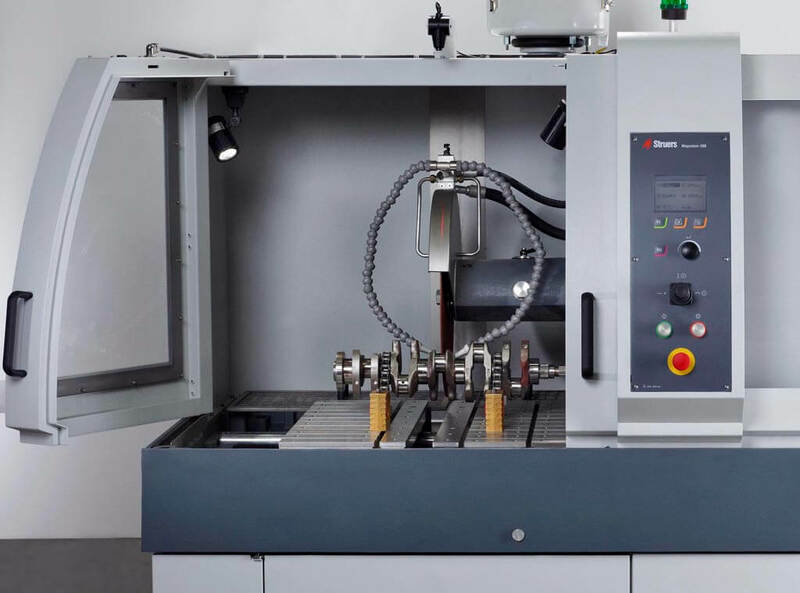 Two-door opening, an extra-large cutting table, and flexible clamping and access make it easy to handle very large workpieces. Compact design, robust frame, oversized machine parts, and DirectDrive motor ensure maximum efficiency, reliable operation, and minimal maintenance. 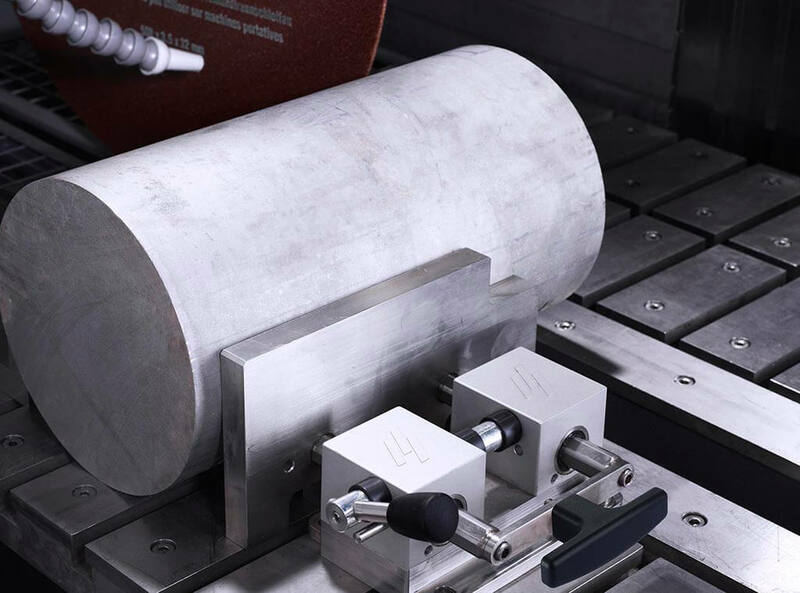 Optimizes the cutting of difficult sections to ensure speed and quality. Cooling nozzles on both sides of the wheel ensure that the coolant is dispensed as close to the specimen as possible, allowing optimal cooling at any time. Two flexible water jets are provided for supplementary cooling. 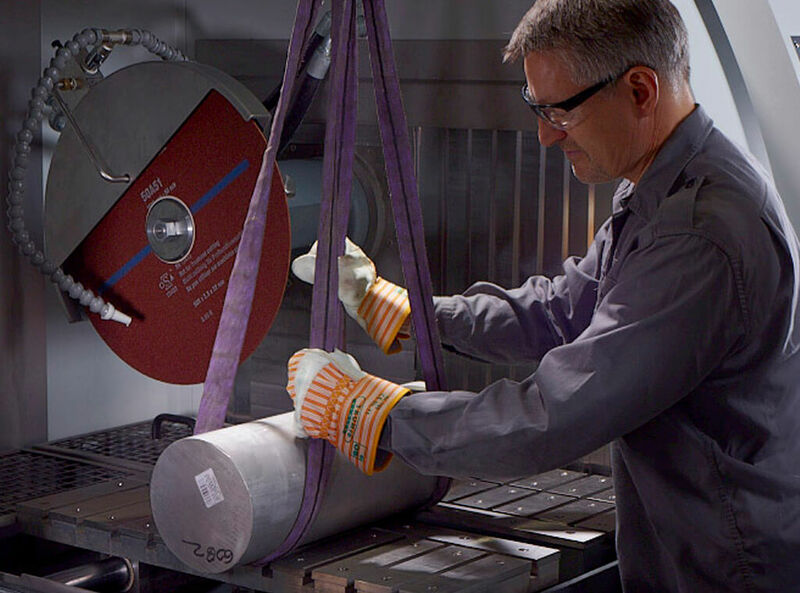 Easy access to machine parts and for handling large workpieces. Smart, sliding, and hinged doors open to give more space and unrestricted access for smoother loading and better placement of large workpieces. 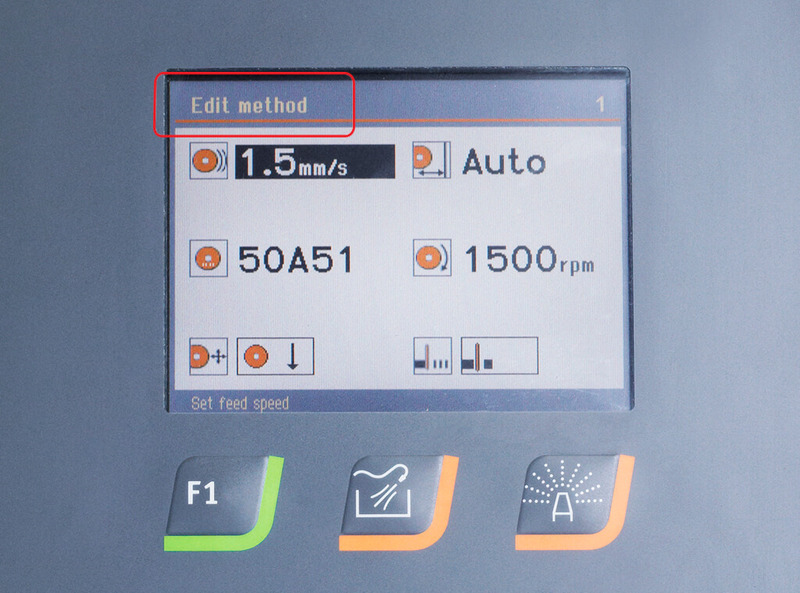 Ensures the correct feed speed without compromising cut quality or wheel economy. 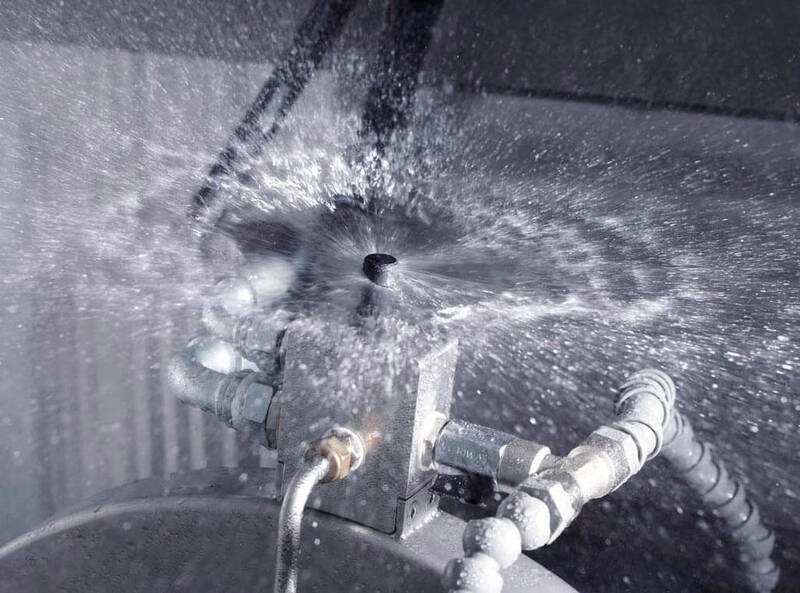 Struers' patented* automatic chamber cleaning function that can be used every day to keep the machine in optimal working condition. * AxioWash is protected under EP Pat no. 1965947. 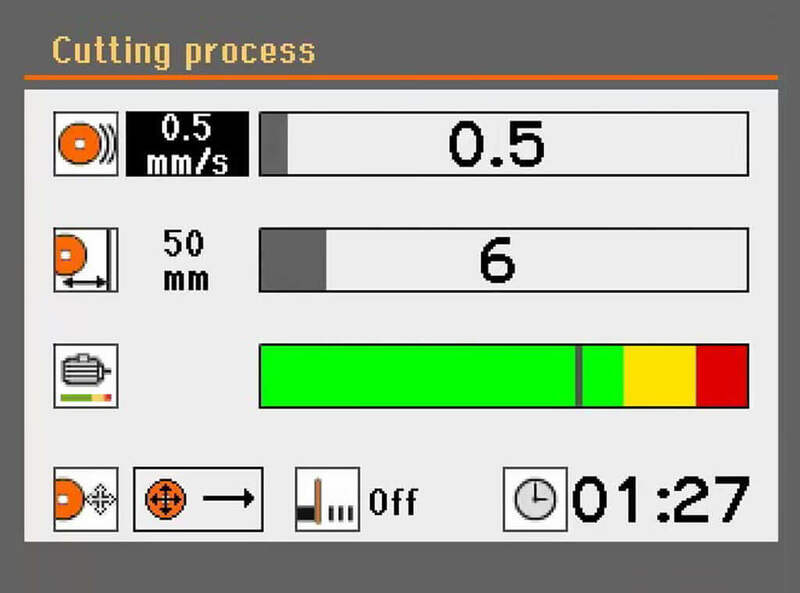 Cut-off wheel automatically moves to predefined start position – faster cutting of uniform samples. 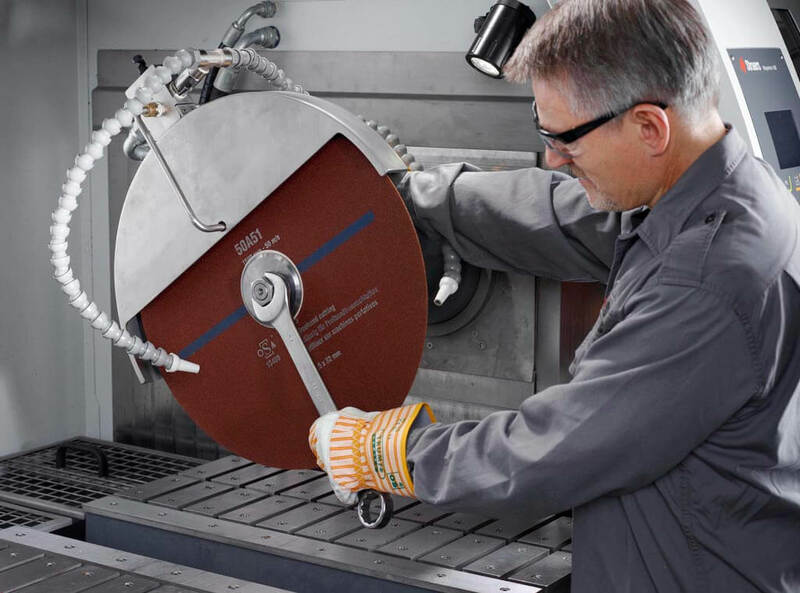 Speeds up cutting of very hard materials. Store up to 300 cutting methods for easy retrieval. 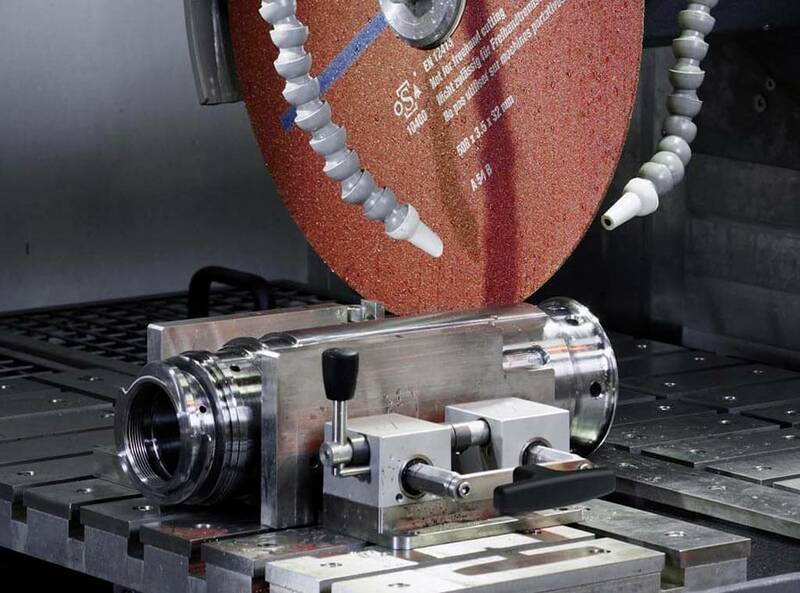 For serial cutting any of four programmed MultiCut modes can be used, one of which interacts with the built-in database function to enable fast, productivity-enhancing changes between cutting methods. 432 mm dia. (Magnutom-400) or 508 mm dia. (Magnutom-500). Magnutom is available in two versions. See specifications for details. Magnutom-400 with fixed tableAutomatic cut-off machine for 432 mm (17”) cut-off wheels. Motor with variable spindle speed.With ExciCut, AxioCut, and OptiFeed. Fixed cutting table. Band filter recirculation cooling unit and clamping tools are ordered separately. clamping tools are ordered separately. 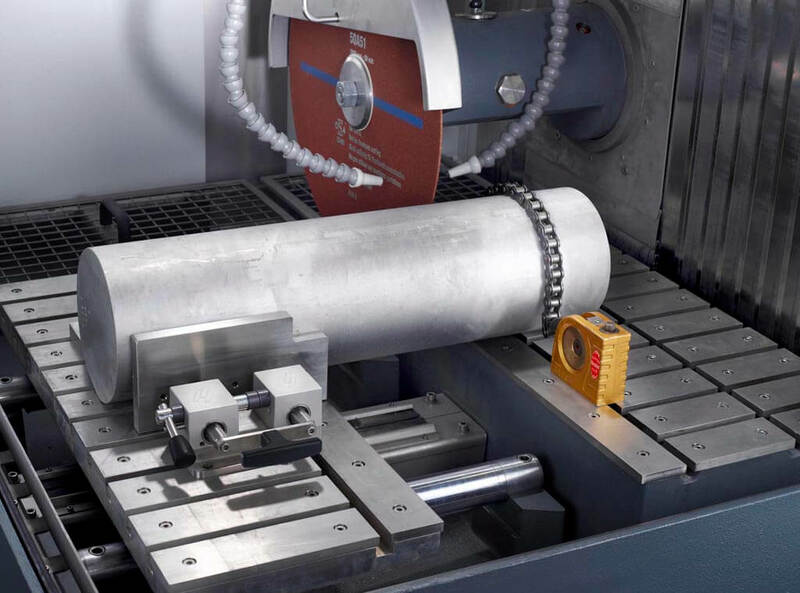 Automatic cut-off machine for 508 mm (20”) cut-off wheels. 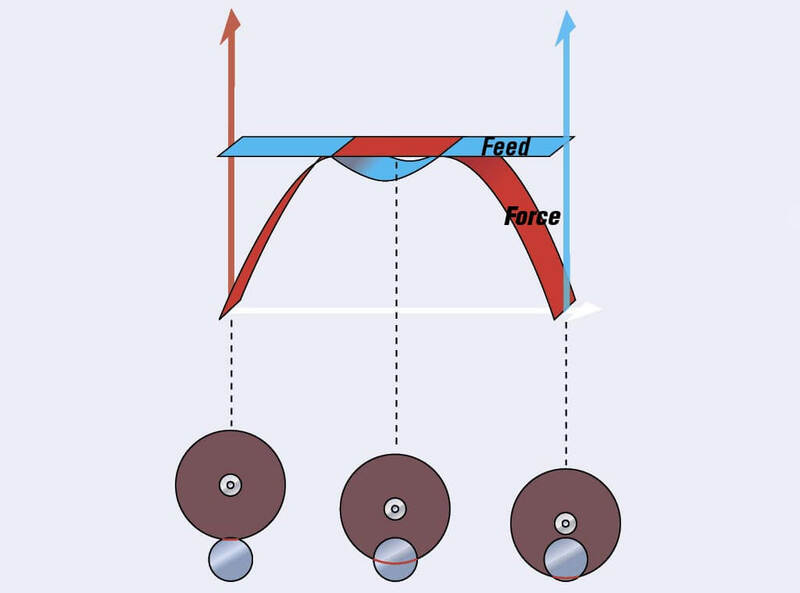 15-20 kW motor with variable spindle speed. With ExciCut, AxioCut, and OptiFeed. Automatic X-table Band filter recirculation cooling unit andclamping tools are ordered separately.